November 13, 2015 This is my third newsletter. 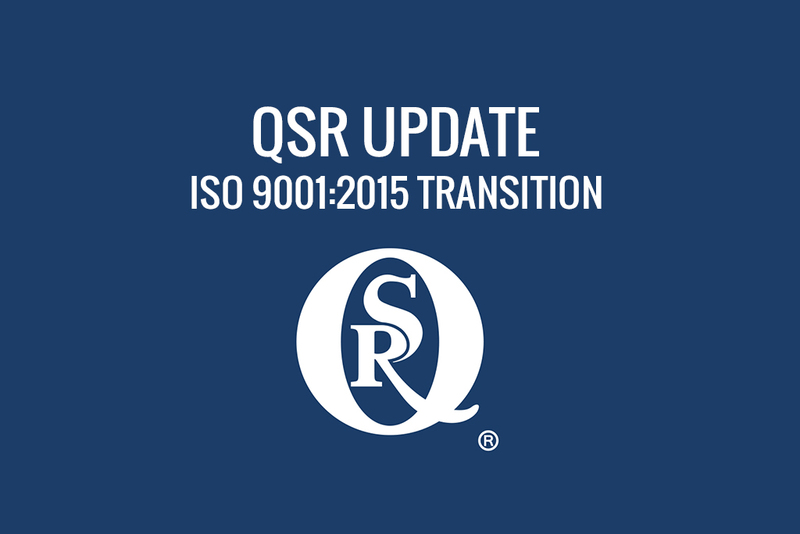 Hopefully the other two have helped clarify some of the new ISO 9001:2015 requirements. The fall is beautiful here in the Blue Ridge Mountains of Virginia. The groundhogs are still out and that is the longest I can remember. They usually knock out around mid-Oct. Must be global warming or they are still practicing for Groundhog Day XXI. Let’s jump right into this ISO stuff, I have football to watch. Here are a few other items from the standard that are different. 1. In the existing standard, you can exclude parts of section 7 if you cannot apply that part of the standard. Typical exclusions include: Design and Development, Customer Property, Validation of Processes and, sometimes if you are a service oriented business, Calibrations. The new standard, since they threw everything up in the air, states if any of the requirements cannot be applied you identify that and include justification for not applying that part. Generally, it’s still the same requirement. This must be documented as well as your scope. Since there is no requirement for a Quality Manual, uhmmmmm maybe put the scope and “exclusions” in one of your favorite books? 2. There’s a section of the standard that has been expanded. Today we have Control of Nonconforming Product, well now the ISO wizards have added process outputs, products and services. I like it. The standard allows you to decide how to handle these short falls. You must keep records; decide if you are going to do corrective action based upon RISK BASED THINKING (you thought I had laid that one down). You should already have defined your outputs so if they miss the mark, DO SOMETHING or nothing depending on potential impact. This isn’t a real big change but I think it lets us roll easier. I have been putting off talking about Context and Interested Parties. Honestly, I had to think about it and understand it better. It’s not as hard as I was making it. So context, I availed myself of a thesaurus and it states “condition”. Ok that helped. Here’s the idea of context. Look inside and outside at factors that could potentially impact your customers. What????? Inside Factors: Workforce, capacity, company culture for example. All of these could potentially impact your customers’ experience. Utilities- Power quality, air, gas etc. So what in the world to do with these things? Risk Based Thinking. Identify those internal and external factors that could impact your trajectory, therefore impact your customers. Think about what are the highest risk ones, the ones that could cause the biggest headache if something did happen in that area. Try to do something about those to the level you can withstand. Loop it back around, every once in a while (management review) to see if any changes can take place or if the activities you did, helped reduce the risk of occurrence. Same ole same ole, isn’t it? Next is determining interested parties. It is really the same idea. Determine who these folks are and know what they want in order for you to adjust appropriately through risk based thinking. Context– Determine WHAT can slow your roll (internally and externally). Do what you can to keep the slow roll from occurring in the most logical and risk based thinking way. Interested Parties– Determine WHO can slow your roll and what they want (internally and externally). Do what you can to keep meeting their needs and do so in a logical and risk based thinking manner. The main work is ensuring your certificate does not go past 9/15/2018. With that said, the “window” may feel like you are trying to push through an airplane window at 35,000 feet because your timeline will be less than 3 years. This is happening throughout the ISO world. These newsletters, albeit brief and informal were for the purpose to help you realize the transition is not as huge as publicized. It’s really not. Keep in mind, you are already (or close to being) certified. You have an existing management system and you do not need to throw out the baby with the bath water. Add context, interested parties, output performance measures and wrap all of your management system up in the risk based thinking blanket and you are pretty close to golden. I say go for it, get it over with. I cannot say what your outcome will be and we all know things can tank over time BUT consider this: I have approximately 1200 to 1300 audits under my heels and I have only recommended 2 companies to not retain their certification. Please keep this thing in perspective – you will not be eaten. That’s how I have always looked at things….”will I be eaten, will I not be eaten”. I’m tough…so far so good. We sincerely appreciate y’all and if you have any questions or concerns do not hesitate to call me.